Contemporary arts in the society are providing tools that can be most useful in educational settings, involving image, sound and movement as ways of knowing and interconnecting people. These tools are excellent means to prepare citizens with confident flexible intelligences, creative verbal and non-verbal communication skills, abilities to think critically and imaginatively, intercultural understandings and an empathic commitment to diversity. This article describes a learning strategy used in workshops with art teachers, future art teachers and children where a contemporary perspective of art was used to explore issues of identity. In these workshop participants were asked to use different art languages to reflect upon identities using symbolic animals in order to construct a collective performance. Bourriaud, N. (2002).Relational aesthetics. Paris: Les presses du réel. Cullberg Weston, Marta (2010). En dörr till ditt inre: visualisering i terapi. (A door to your inner: visualization in therapy) 2. uppl. Lund: Studentlitteratur. Keifer-Boyd, K. (2009). CyberNet activist art pedagogy. In A. Arnold, A. Kuo, E. Delacruz & M. Parsons (Eds. 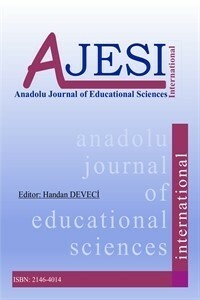 ), Globalization, art, and education (pp. 126-134). Reston, VA: National Art Education Association. Garoian, C. (2009). Preface. In: Sweeny. R. W. (Ed.) Inter/Actions/Inter/Sections: Art Education in a Digital Visual Culture, Reston, VA: National Art Education p. vii. Gur-Ze’ev, I. (2000). Critical education in cyberspace? Educational Philosophy and Theory, 32(2),209-231.